Þórsmörk is a remote valley embraced by glacier on three sides - with breathtaking scenery. Hop on our mountain bus for adventurous drive. On the way we drive over many un-bridget rivers that are impassable on regular cars. If you are driving - park your car at Hella or Seljalandsfoss, for a safe journey. This is definitely the area to visit if you are e.g. into hiking and you find many marked hiking trails in the area. You can book a return fare either for one day or bring your tent and stay for more days. 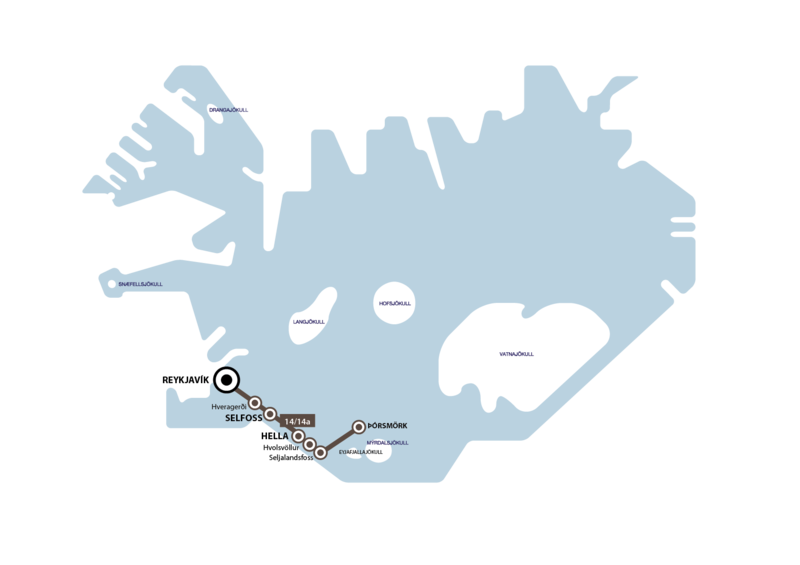 The Þórsmörk bus departs daily from Reykjavik at the Harpa Concert Hall and from the Reykjavík Campsite.